Local campaigners have expressed concern that Whitstable Library is one of 70 libraries due to be downgraded next year by Kent County Council. Kent County Council is currently consulting on a major reorganisation of its 99 libraries across the county. Whitstable Library is due to see its opening hours cut by 16 hours a week (from 59 to 43 hours per week). Swalecliffe Library will only be open 23 hours a week (down from 40). 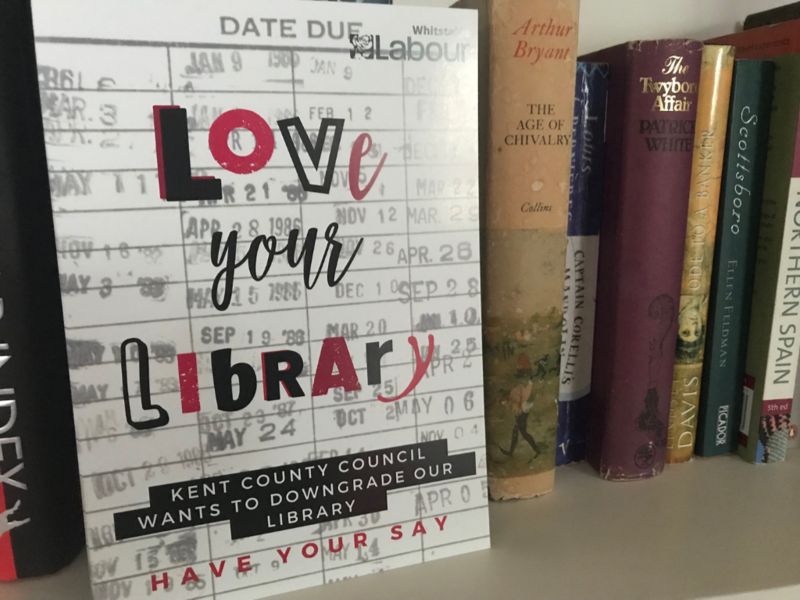 In light of this closure, prospective Canterbury City Candidates Chris Cornell, Val Kenny and George Caffrey are calling on the City Council to protect the library by expanding rather than contracting the services it offers. As a hub where a range of local council services and advice are available to the public, alongside the library, it would be used more and costs could be spread. “We all know that how people use libraries is changing, but they represent an asset in our communities which could be used differently and as a means of making council services more accessible” said George. “Over the last week we have been talking to residents about the library” said Chris, “like me, many have expressed horror at the idea of it closing and concern that trips to read with their children may not being taken into account in the consultation that records utilisation purely on the number of books borrowed”. Libraries being redeveloped as ‘public sector hubs’ (also commonly called Gateway’s across Kent) are are currently exempt from the reorganisation but so far Canterbury City Council remains one of the only local authorities in Kent not to have considered a hub to make your local services available on the high street. “Canterbury should be learning from neighbouring councils and introducing hubs like this into Whitstable” said magistrate Ms Kenny. “Last October, myself and my fellow candidates, heard from staff in Sheppey how bringing local council and voluntary services into the library had both boosted visitor numbers and made the council more accessible“.